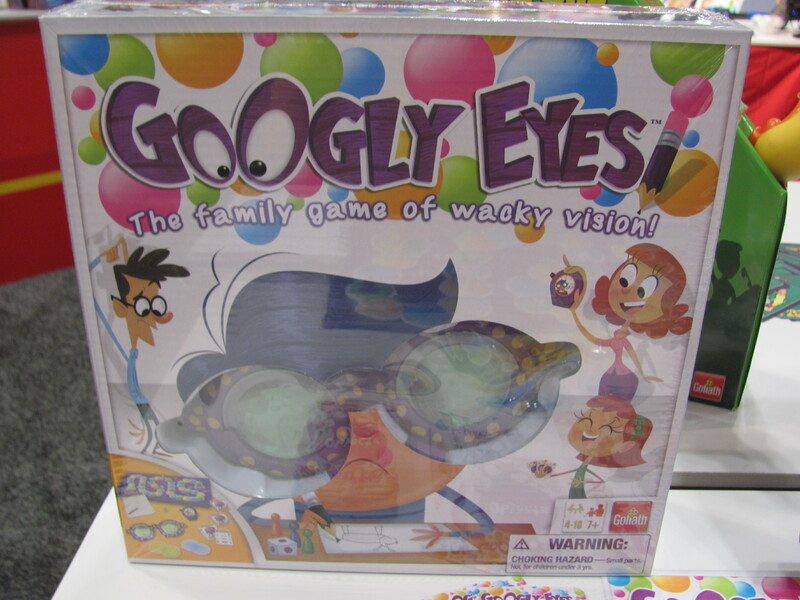 Visiting Goliath Games I expected to see some goofy stuff—I mean, this is the company that sold 6 million games about a pooping dog—and I was not disappointed! 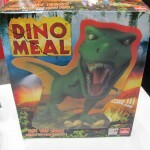 Dino Meal ($20) has players trying to steal eggs from the nest of a Tyrannosaurus Rex. 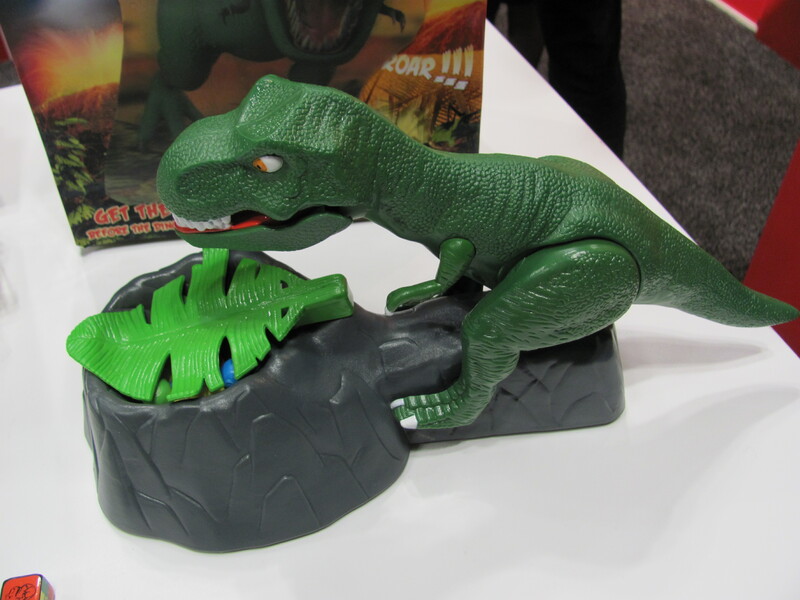 They roll a die, reach under the leaf to grab an egg of the matching color, and hope that the T-rex doesn’t pounce. 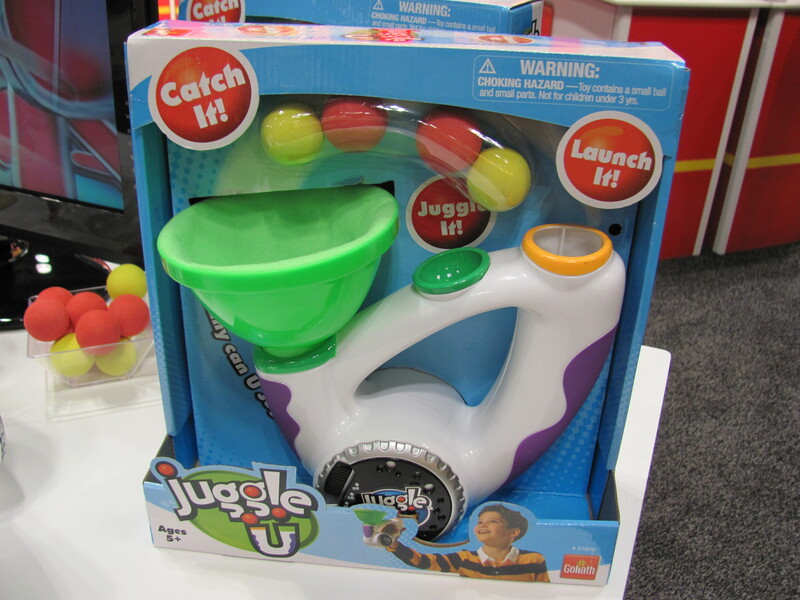 Batteries are not required but sound-effects will be added if you have them. 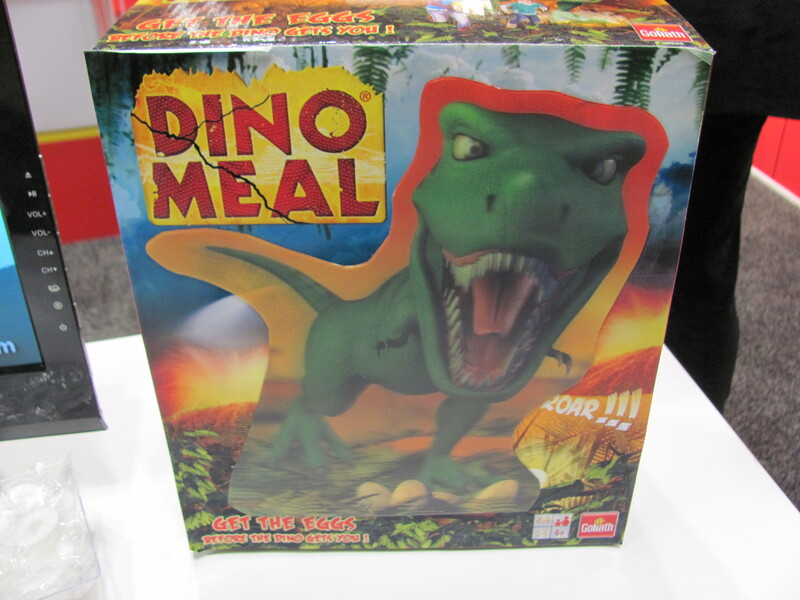 Also, the box features a lenticular T-rex image. 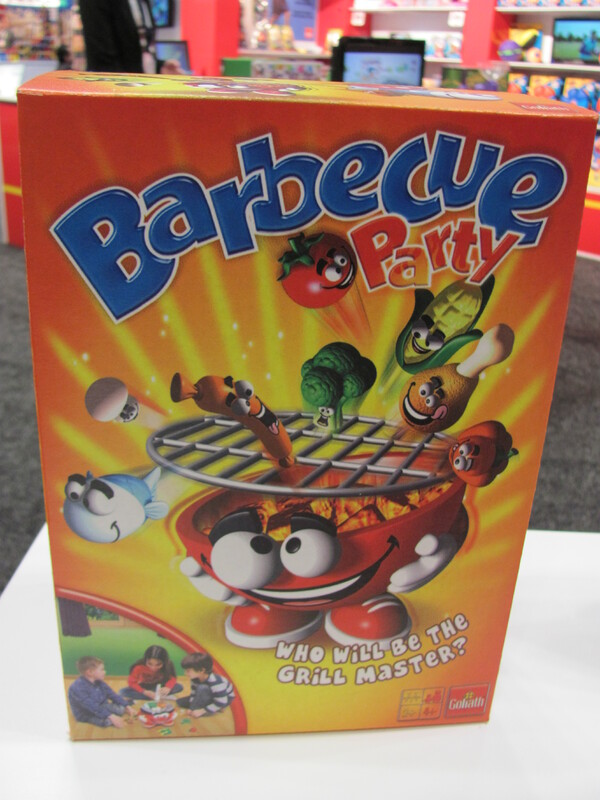 Barbeque Party ($24), formerly an Asmodee game, is similar. 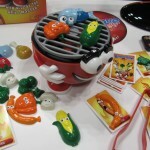 Plastic food pieces are placed on a BBQ rack. 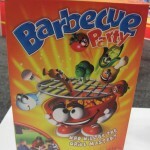 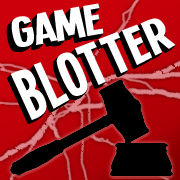 Players then take turns removing food while trying not to trigger the rack springing in to the air. 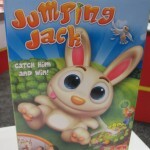 In Jumping Jack ($25), players spin for the number of carrots to pull. 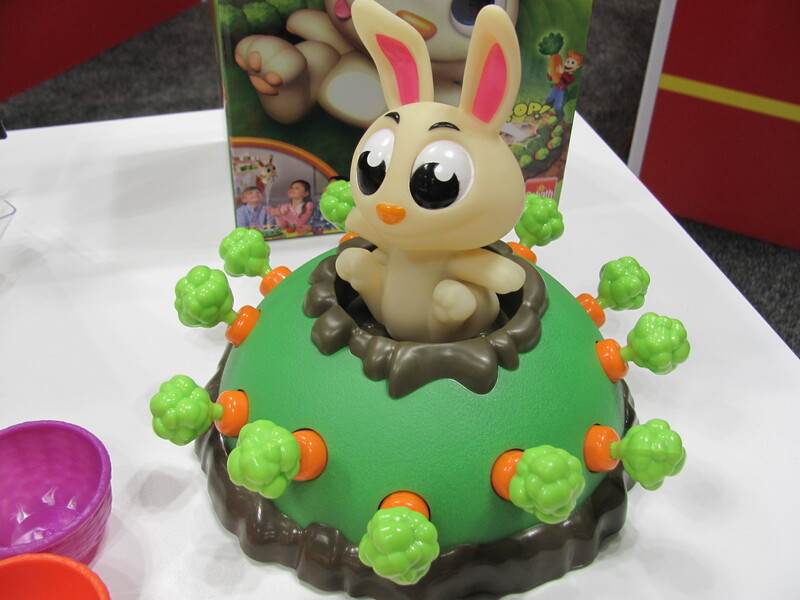 One will trigger the bunny rabbit to jump, and when it does, the player who’s turn it is must try to catch it. 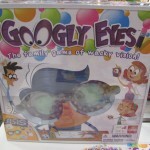 Googly Eyes ($24) is a Pictionary-like game. 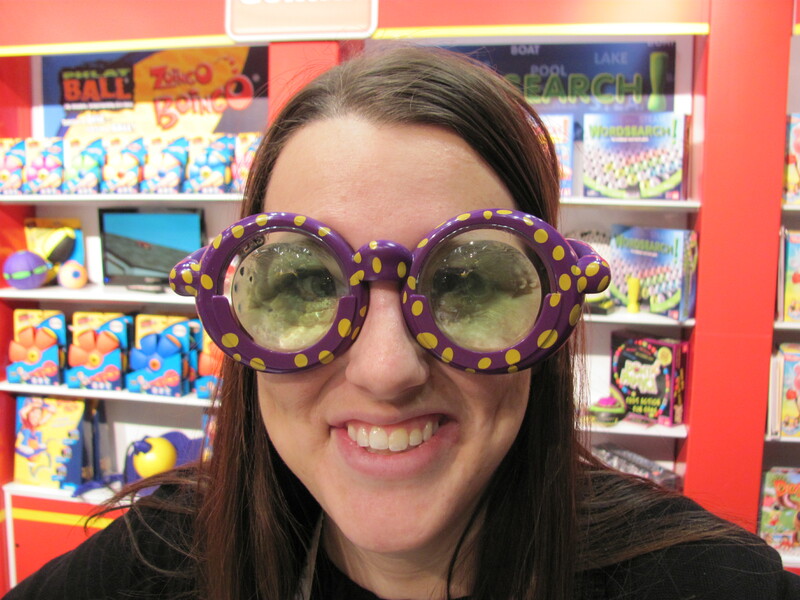 However, with this one comes a pair of glasses and a variety of vision-altering lenses. 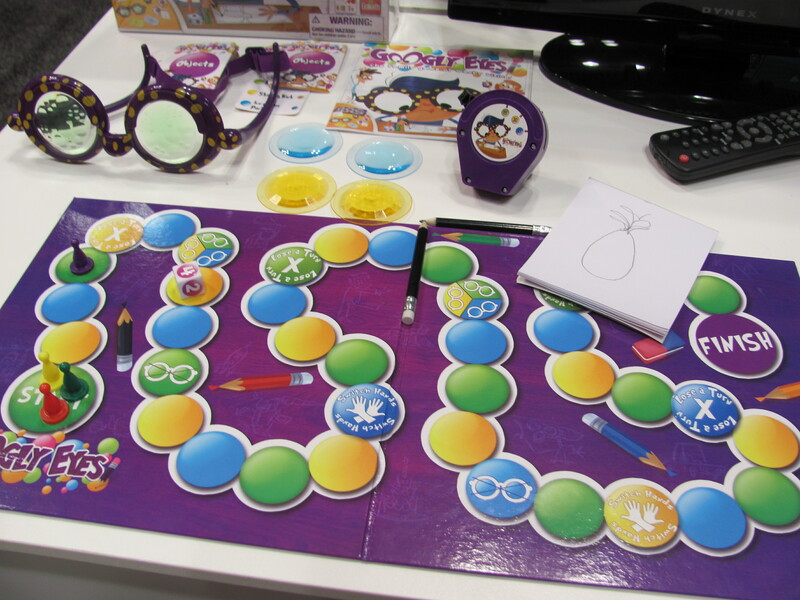 Spaces on the board indicate which set of lenses the person drawing the picture must wear. 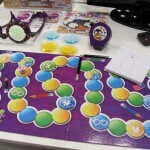 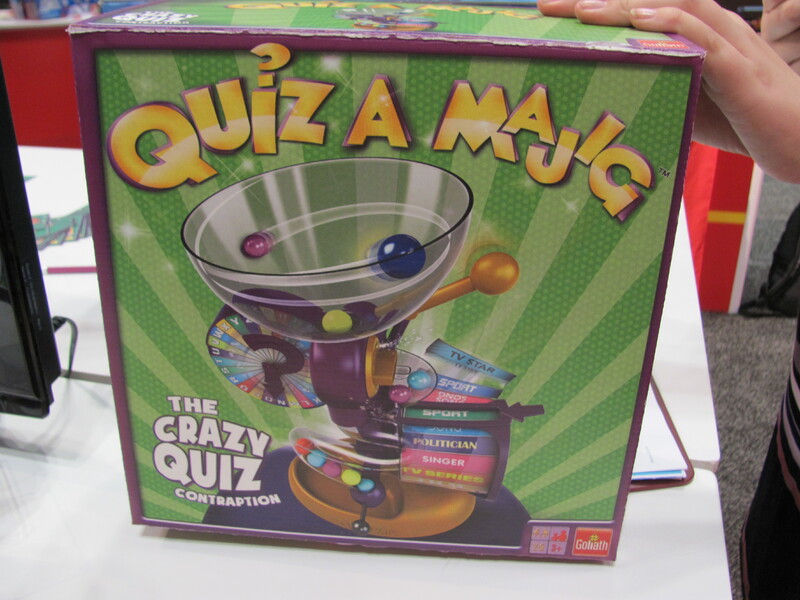 Quiz A Majig ($20, available fall) is a trivia game built around a whacky-looking gizmo. 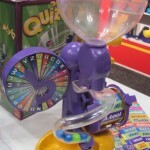 Pull the lever and the gizmo spins two dials, pairing a category and first letter. 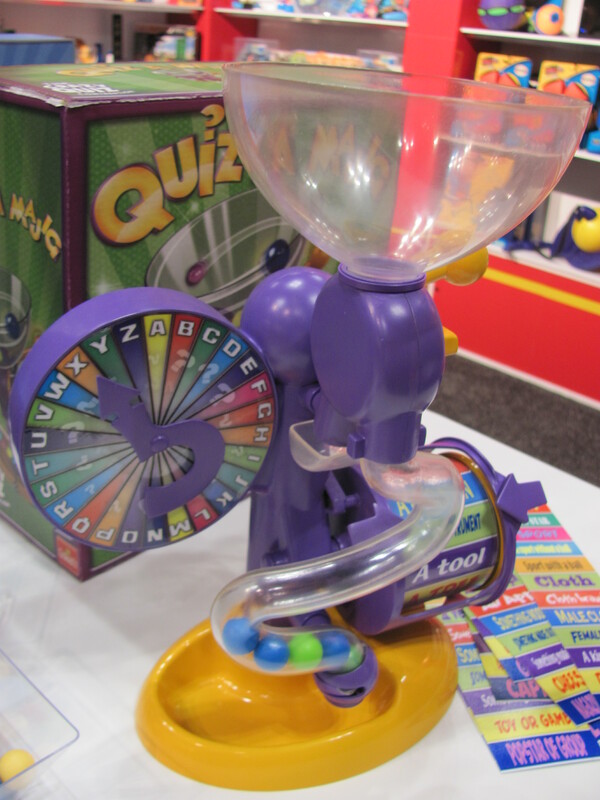 The device also accepts marbles in a score-keeping function. 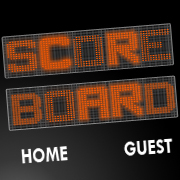 When a player answers correctly, that player’s marble is directed to the visible score tube. 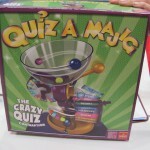 The marble of a player that answers incorrectly is hidden. 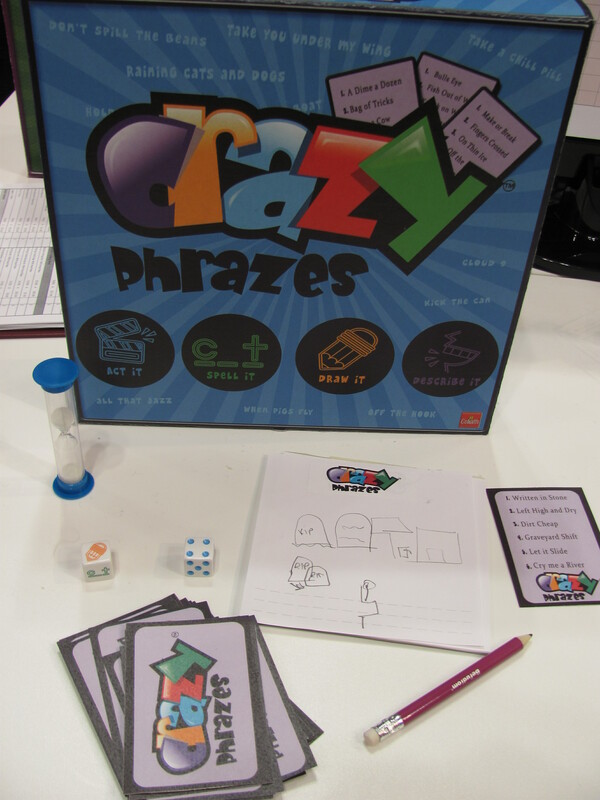 Crazy Phrases ($20, available fall) is a party game in which players act, spell, draw, and describe idioms. 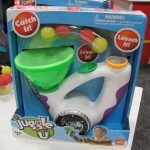 Catch It! 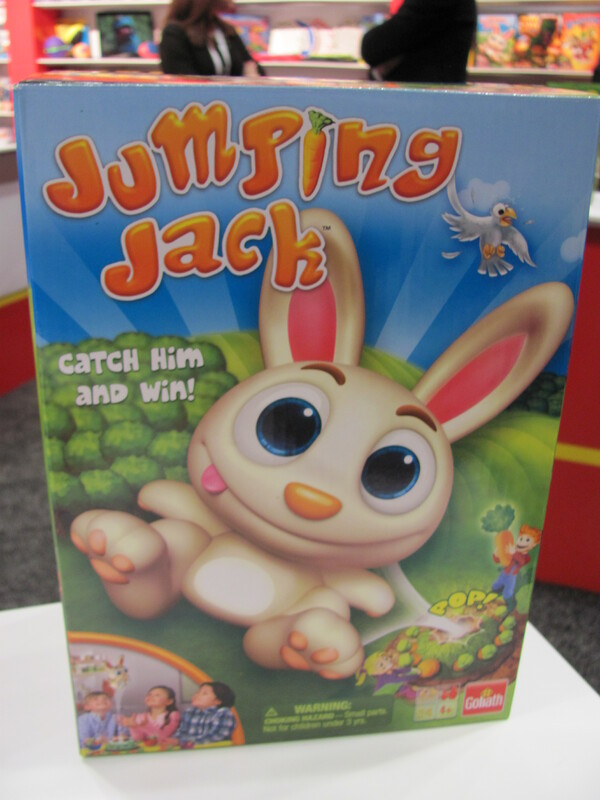 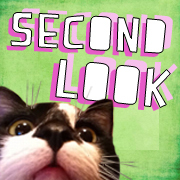 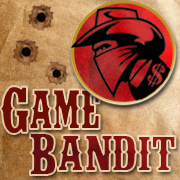 ($24, available spring) is a straight-up action game—maybe more of a juggling toy. 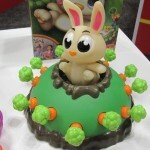 Battery-operated, the thing shoots foam balls in to the air for players to try to catch in it’s green funnel. 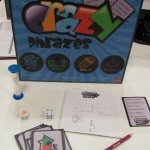 And finally, there is What the Cluck? 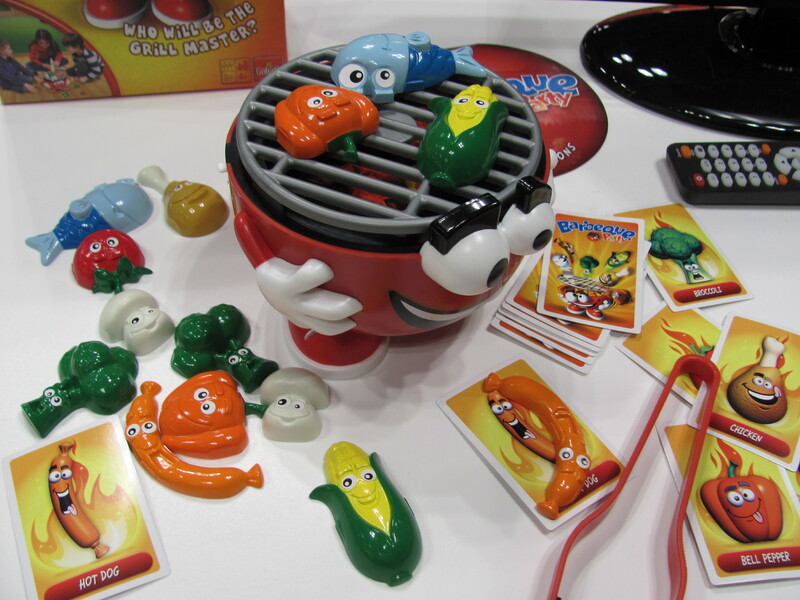 ($20, available fall), THE most ridiculous, made-me-lough-out-loud game of Toy Fair! 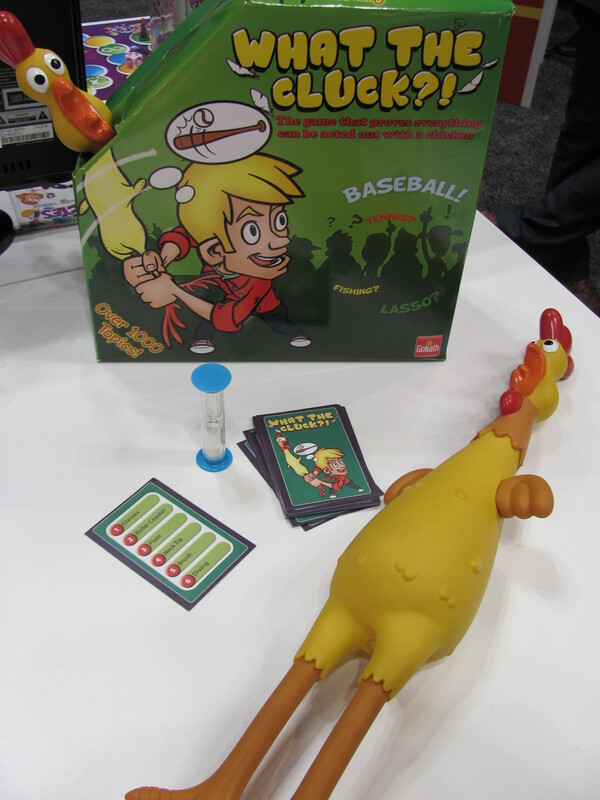 This game is charades with a rubber chicken. 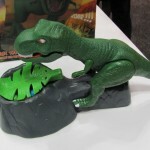 That’s right, Charades with a rubber chicken. 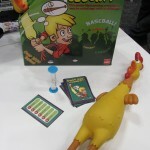 In other words, players must find some way to incorporate the rubber chicken in to their acts. 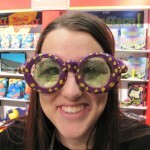 Now how can that not be funny?